SPOKANE, Wash. — Washington voters passed an extensive gun reform initiative Tuesday and there is a lot of concern among gun owners. Some people took to social media outraged about certain parts of Initiative 1639. Hundreds of comments came in on the KREM 2 Facebook page. Many people expressed discontent with Initiative 1639. The law also raised the age to buy these types of weapons. 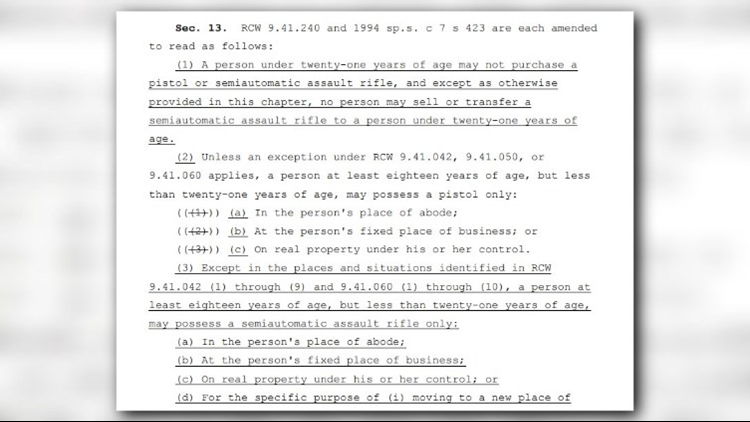 The legal age to purchase a semi-automatic rifle will be 21. People ages 18 to 21 are allowed to have one, however, in their home or place of business. 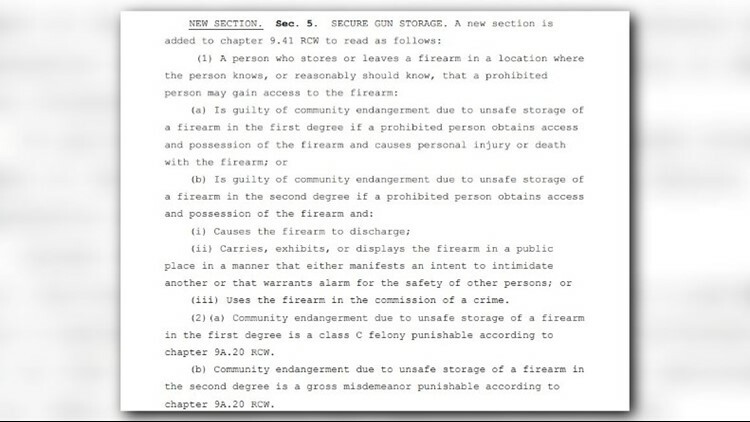 People have voiced a lot of concern about the "Secure Gun Storage" section of the initiative. It states a gun owner can be criminally responsible if their gun gets into the wrong hands and a crime is committed with it. It said they could face a misdemeanor or even a felony charge of ‘community endangerment due to unsafe storage’. 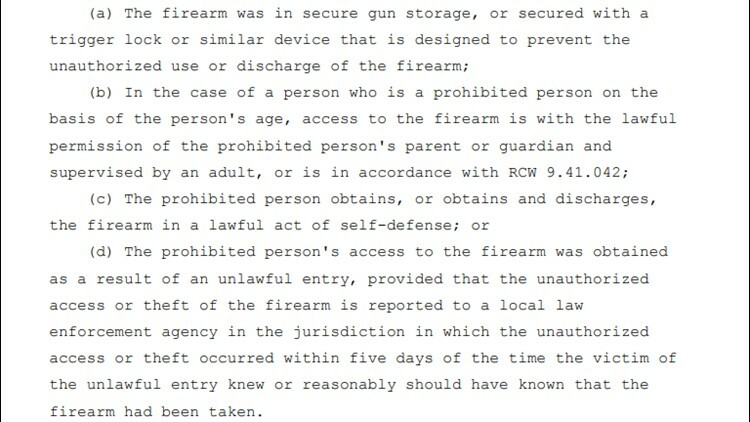 That is if a gun was not stored in a way to keep, what the law calls a "prohibited person" from getting to it. A prohibited person is defined as anyone who is not legally allowed to have a gun, a child or felon for example. There are situations where the new regulations will not apply. Minors can have access to guns if they have permission from a parent or guardian, and they are supervised. The law does not apply if someone breaks in and steals a gun, as long as it is reported to law enforcement within five days. 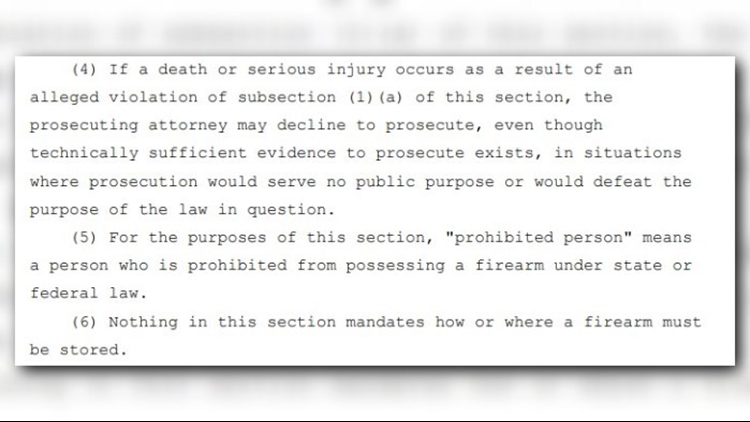 It also does not apply to when a prohibited person uses a gun in an act of lawful self defense. I-1639 gives discretion to prosecuting attorneys. They can decide not to prosecute a gun owner. The section states this would be "in situations where prosecution would serve no public purpose or would defeat the purpose of the law in question." Opponents have already said they plan to file a lawsuit challenging this initiative.